Rosekind: “There's a long list of things that [FCA did that] put people at risk." DETROIT -- The head of the National Highway Traffic Safety Administration said today that the agency is negotiating with Fiat Chrysler Automobiles to settle a dispute over the automaker’s handling of recalls, but nothing has been signed. FCA representatives were called to a special hearing on July 2 at NHTSA to answer questions about 23 recalls that the agency alleges were improperly executed. 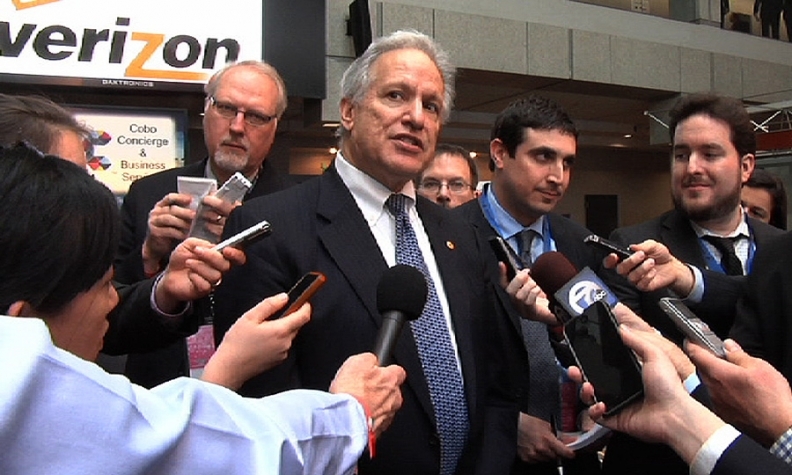 After the hearing, Rosekind said that FCA would face penalties for its actions. “There’s a long list of things that [FCA did that] put people at risk,” Rosekind told reporters today. Rosekind said he is encouraged by the public comments that FCA CEO Sergio Marchionne and other executives have made about the automaker working more closely with NHTSA. But “we’re going to be watching for the actions that follow,” he added. NHTSA attorneys are considering a number of penalties for FCA, from monitoring and reporting programs up to, and including, vehicle buybacks, Rosekind said. Ongoing testing of recovered airbag inflators -- those already pulled from recalled vehicles -- shows an elevated risk of failure for vehicles in one state. “Seventy to 80 percent of the ruptures are coming from Florida,” he said. Rosekind said that automakers and NHTSA are working toward “a fall event” in which they can present a coordinated campaign to replace millions of defective airbag inflators in the nation’s fleet. NHTSA is reviewing federal vehicle safety rules to determine whether self-driving vehicle technology that automakers and Google Inc. are road testing comply with the law. The agency is looking at a list of rules that could affect the rollout of features such as Tesla Motors Inc.’s Autopilot hands-free driving system or General Motors’ proposed Super Cruise system planned for some Cadillac models.